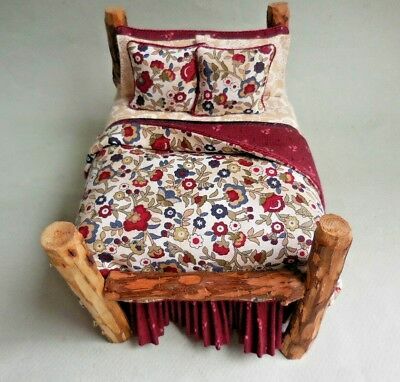 Rustic hand made Adirondack log bed with ivory sheets and a burgundy fleece blanket. 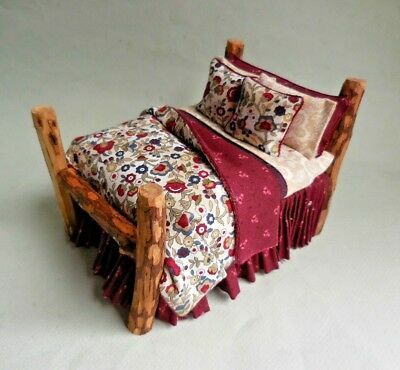 The quilt is burgundy with country flowers and a marching burgundy dust ruffle. It is finished with matching pillows. Just a little more feminine than my other rustic beds. 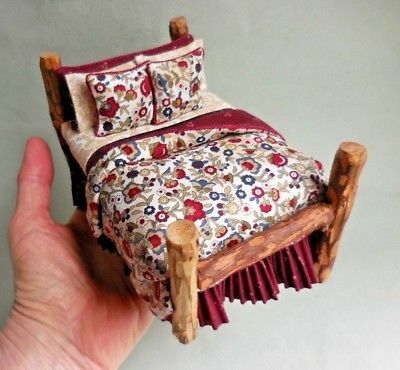 The bed is 6" long, 4" wide and 4" tall.